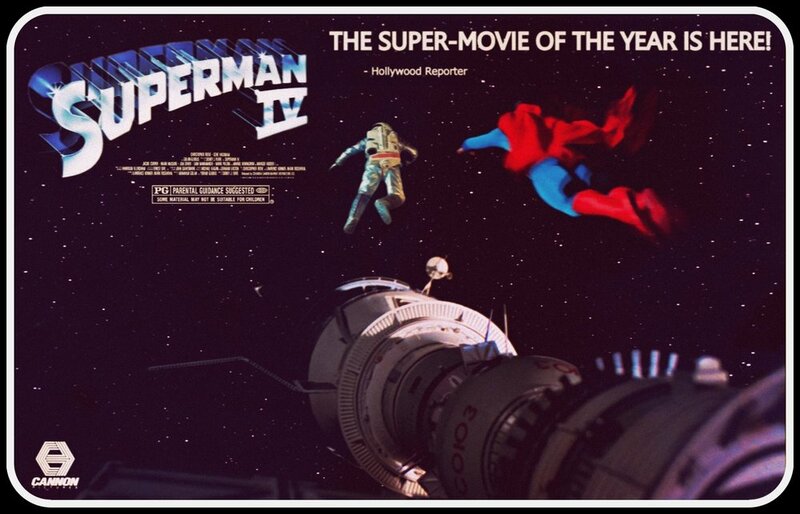 SUPERMANIA marks the 30th anniversary week of the final entry in the classic Superman series released in Cinema’s across the world with an unprecedented trio of posts (one for every 10 years!) of rare and unseen material. 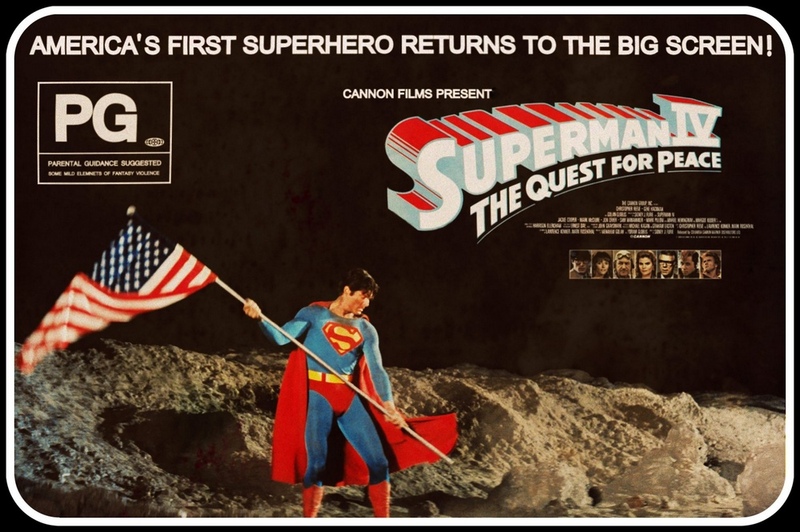 Despite ‘Coming On Strong’ (according to the US tagline) in July 1987, Superman IV: The Quest or Peace continues to be divisive decades later. Critically mauled on initial release leading to audience indifference and disastrous box-office, the Cannon Films production would be a franchise killer long before the term was properly coined. 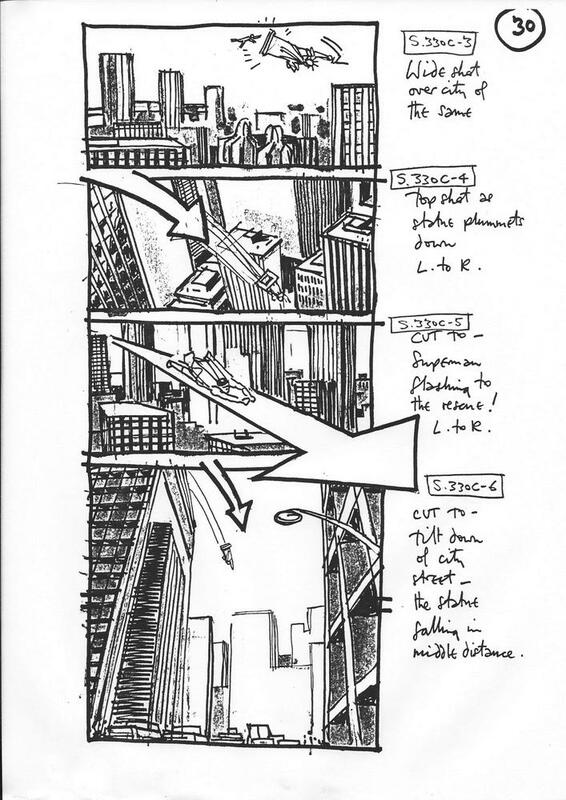 However, against considerable odds, the film somehow endures to this day. Despite its reputation as one of the worst comic-book films ever made, something about the beleaguered production and deeply-flawed 90-minute (un)finished product still resonates and manages to retain a small but dedicated fanbase. 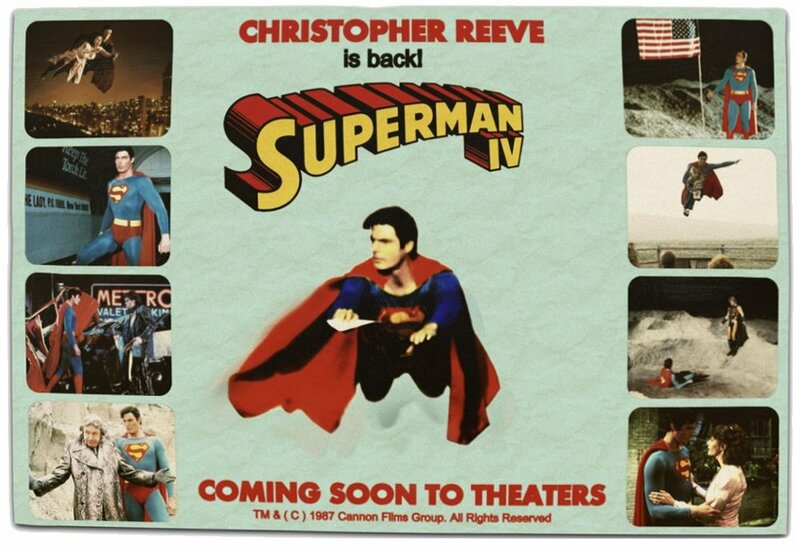 Those who can see beyond the cut-price visual effects and clunky plot to embrace it as a pure translation of comic-book to film are rewarded with some classic Superman Movie moments and at its heart, as always, the performance of the late Christopher Reeve. 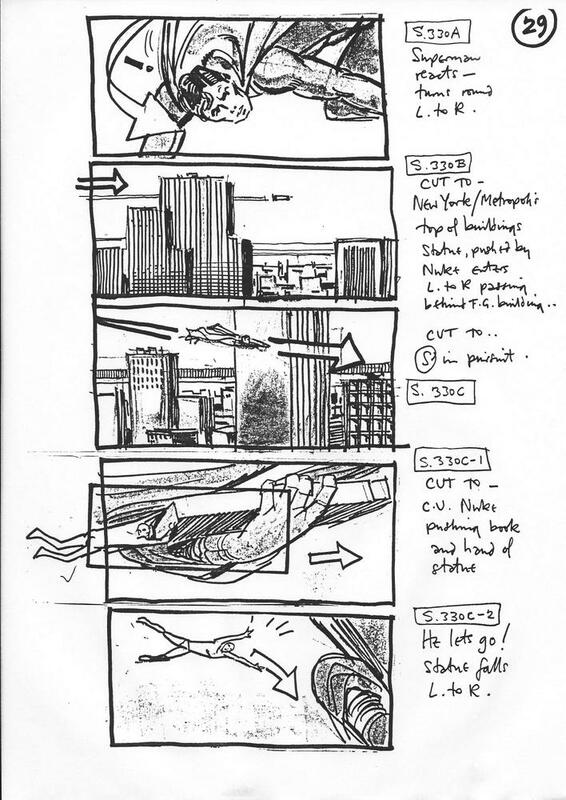 Above, more never-before-published pages from the volume of storyboards pencilled by Martin Asbury as scans resume from the Big Red Book last posted over three years ago!! 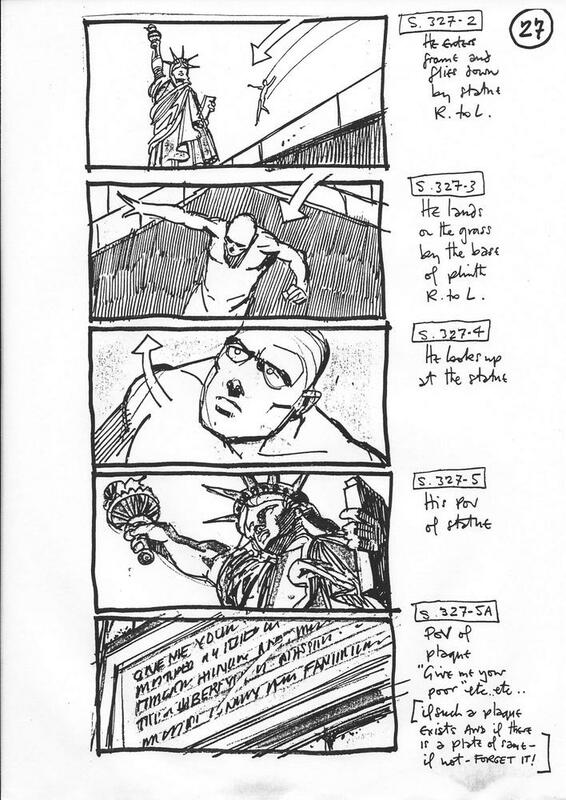 There are many more to follow this sequence of the battle for the Statue of Liberty and it should be noted this vast binder houses the complete version of the film, so future updates will document the epic Metropolis battle as it was meant to be seen, including yellowcabs tossed around like rocks! 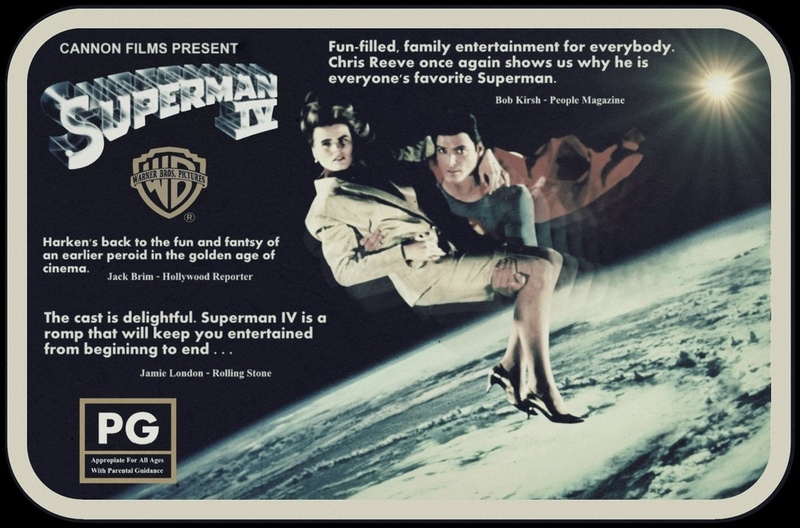 Do you have any knowledge or information on the Oxford Street/Regent Street Superman IV exhibition back in 87? My parents took me to it before we went to see the film in Leicester Square. It may have been in Hamleys. They had various props on display including Clark’s glasses. Been trying to find out about it for years. 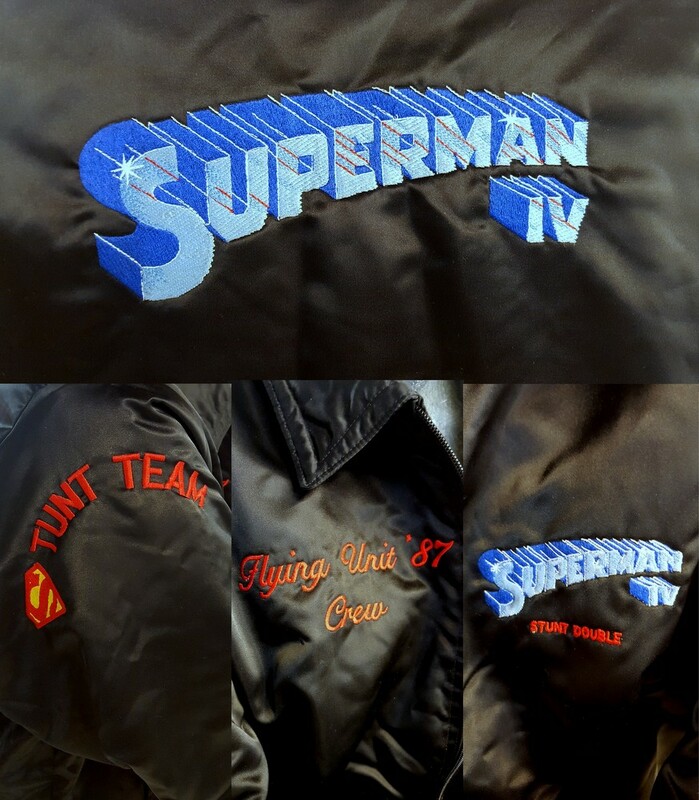 I’m not sure that I should mention the fact that Mark Stewart had to stop selling these Stunt team jackets and Caps which he did in fact do because He was told that anything DC comics is a copyright owned by them, fortunately I still have the jacket that I bought from him while I was working on the roofs of Elstree Studio’s back then for £35, I wonder what it’s worth now?? Love those jackets. 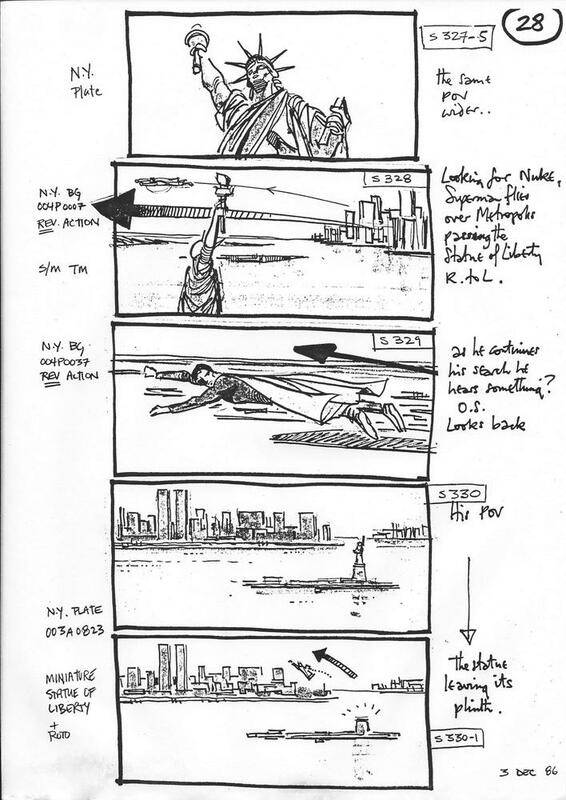 Fantastic storyboard material. Not sure about this Jason Leggett guy though. Many thanks for your comments guys – I’ll respond in order starting with thelostchevalier – yes sir, your memory serves you well regarding the exhibition at Hamley’s but, like you I have been frustrated with the lack of evidence of it. having said that I direct you to this post – http://supermania78.com/2012/07/25-years-nuclear/ where you will find two (albeit poor) photographs from said event when visited by Nuclearman himself. Now that you mention Clark’s glasses were there I’m keener than ever to find out more – was there a display of the Superman costume? I honestly can’t remember if there was a costume. I think so, but it’s the glasses that stick in my mind. I don’t also remember the spacecraft prop in that photo with Mark Pillow, but if memory serves I believe they had a miniature of the Soviet rocket and transport that Luther attaches the little white box to. But I could be wrong. It’s 30 years and I was 9 years old! But the glasses were a definite.